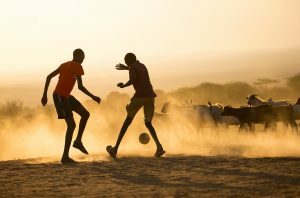 SAIDIA has been witness to many changes for the better in the three decades it has been working in northern Kenya, but there is always more to do. Many children in the rural areas still do not go to school. Many of the boys who do enrol fail to complete their secondary education. Girls fare worse. There is a high drop-out rate in primary school. In areas where SAIDIA is active, the attendance rate for girls has improved. Follow-up reports on SAIDIA’s workshops for the empowerment of women indicate that this is partially due to women’s new awareness of the importance of education for their daughters and also an awareness of their own rights as women. SAIDIA has sponsored hundreds of students through secondary and tertiary education. Some have returned to contribute to their communities as teachers, nurses, civil servants and wildlife managers. Others have gone on to pursue degrees in law, education and development. 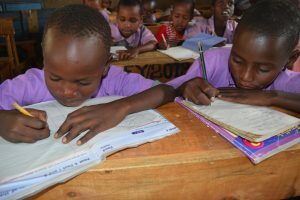 SAIDIA upgrades the infrastructure of primary and secondary schools in remote and semi-arid areas. Water supply, and therefore hygiene, are a chronic problem. In many schools, students dig for water in the nearest river bed. SAIDIA focuses on the installation of roof gutters and water tanks to harvest rain water that can supply a school with disease-free water for drinking, cooking and bathing. Sanitation is also a chronic problem. In many schools the ratio of student to latrine is 50:1. SAIDIA instals latrines and showers. It also builds teacher accommodation, school enclosures, sanitary pad pits, and renovates classrooms. The need is endless and even runs to providing underwear for girls and balls for soccer and netball.